You know, it’s a good thing that the site is really intended primarily for me. I’m probably the only one who can make any sense of it. I was looking at it again tonight and I realize that my recent entries are all all over the map – no pun intended. The main reason for this inconsistency is this fabulous scanner sitting on my desk. That in the fact that my old slides are a mess – definitely not well organized. So I thought that I would give you some background and try to make some sense of the pictures I’ve been posting lately. Many of you already know that I spent 17 months as a government contractor in Thule, Greenland from 1985 to 1987. Without a doubt the high point of the trip was my visit to Erik’s cabin. My friend Erik – a genuine mountain man – built a cabin approximately 8 miles away from Thule airbase. Erik ran the crafts shop on base, had access tools and lumber. 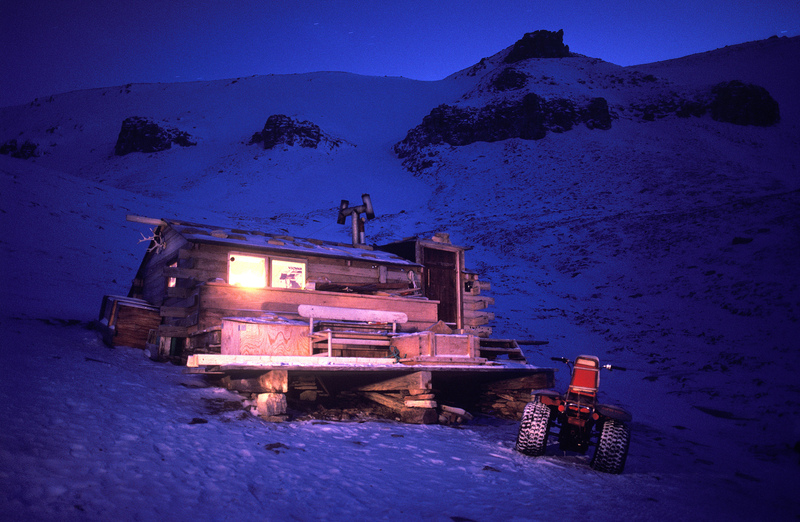 Over the years he constructed a cabin in one of the world’s most remote locations. I was lucky enough to spend a few days with him in his cabin. The two shots shown here were taken shortly after we arrived. 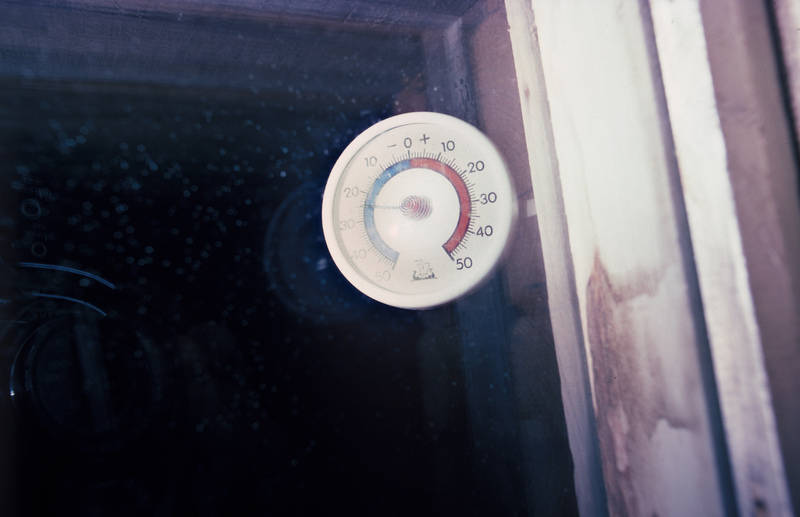 You can see that the temperature is -26 degrees centigrade. Now I know how to calculate Fahrenheit from centigrade temperatures up when they’re above zero but to find out what minus 26 degrees centigrade equals in Fahrenheit, I had to consult the Web. The answer? 26 below zero centigrade equals approximately 14 degrees below zero Fahrenheit – far from the coldest temperature I experienced in Greenland but fairly chilly. Love the header change! Bet Kelly likes it also. Don’t worry about being ‘all over the map’ I enjoy seeing what you did during the years I was out of touch with everyone. Took Justin back to Parkside yesterday. All of the kids think I’m a computer guru because I was able to set up their PC’s on the Parkside LAN….and who am I to argue with them when teenage appreciation is in such short supply! Good one Jimbo. I’m also all over the map and really don’t care, cause my blog is all about things that interest me. At BlogSpot, you can choose to either make guest comments register with TypePad or let everyone comment, and I’ve changed my site and opened it up to everyone. If the spam gets bad, I’ll go back to the old system.